Do you want to become a certified event planner? 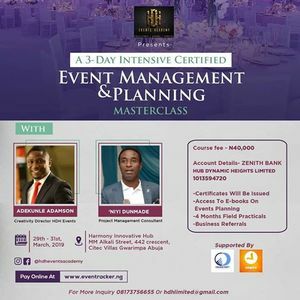 Are you planning to start up your own event company? Come and get all the experience you need! 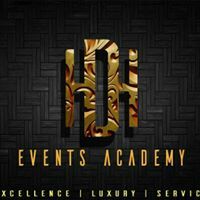 At HDH Events Academy,a subsidiary of HDH Events we are all about Excellence, Luxury, Service! Let's make your dream a reality by joining our next batch of training.